Question for you…Is it important to know who you are and how you are designed? If not, stop reading, this is written for someone else. But if you are trying to find your strengths and natural tendencies, take a look at the 3 questions below. They are fairly simple, but may change how you plan your time and use your talents on a daily bases. It certainly has changed my business and family life. How Do I Get Filled Up? This is a very simple questions, but many people may not consider it when making goals, plans or strategies in various aspects of life. In sales, marketing and business development there are several ways that introverts differ from extroverts naturally. Below are some generalizations that may help identify how you connect with others. It may be an oversimplification to ask this question, but it may be helpful to think of it this way…Do you value quality or quantity when initially connecting with others? 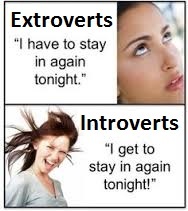 Extroverts: Feel charged or excited to meet high quantity of people, even if the quality of conversation is not initially the focus. Extroverts generally start conversations and are considered “social butterflies”. Introverts: Feel charged by being alone or spending time with highly trusted and limited number of quality friendships. Usually introverts are more reflective and observe others before joining conversation. *It’s important to note that some of the world’s most beloved and effective leaders have been introvert, including 10 US presidents. See this article to learn more. What Is My Best Business, Marketing and Relationship Language? 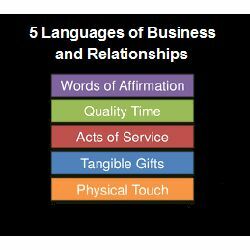 The 5 languages of business, marketing and relationships based on the classic book “The Five Love Languages” by Chapman may sound like a minor consideration when evaluating your style of engaging people, but if you don’t identify this natural way of giving and receiving relational equity, sales, marketing and interaction with people will be exhausting. Click here to answer 5 questions in finding your major expression of care for others (and how you generally like to receive care). What Is My Best Leadership Style? Marketing is a broad term that describes the multifaceted strategy to promote your organization or business. At Giver Marketing we specialize in finding an effective strategy which increases an organization’s desired results by highlighting their “goodwill” activity in the community.